Fancy Treehouse. : Your heart goes ring a ding ding. Your heart goes ring a ding ding. I loved frolicking around in this dress. My sister took these pics about a week ago but I forgot about posting them. We were hanging out in Pasadena and this reminds me that she needs to come back like right now. It was feeling like late spring that day and I didn't even need a jacket. :) The day will come again soon! And here are some random iPhone photos from the past month or so. I continue to take photos every day. 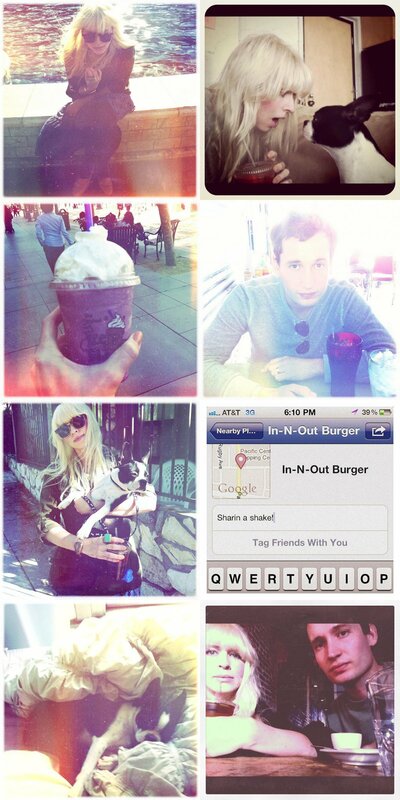 How on earth would I remember the day my sister and I shared a chocolate shake if I hadn't taken a screen shot? And how would I even gauge how much Birdie has grown? Impossible! Anyway, I love life! And Gabe and Birdie! The Oscars are tonight! Fun! Hope you're having the best weekend. May I please have your beyond lovely turquoise/jade blue-green dress! ;) I have been looking for something very similar for my engagement pictures this summer to bring a pop of color...you look beautiful, as always! 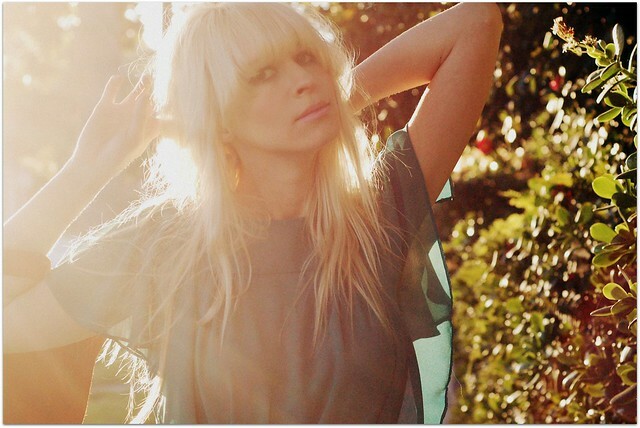 :) FABULOUS ring too and super fun pictures...love the style of your adventure ones! Love this dress! The color and ruffles are gorgeous. And the pics of you, your man and your pup are great! I need to make use of my camera on my Blackberry. Btw, I was inspired to go thrifting this weekend because of you! And I received my dress, thanks! 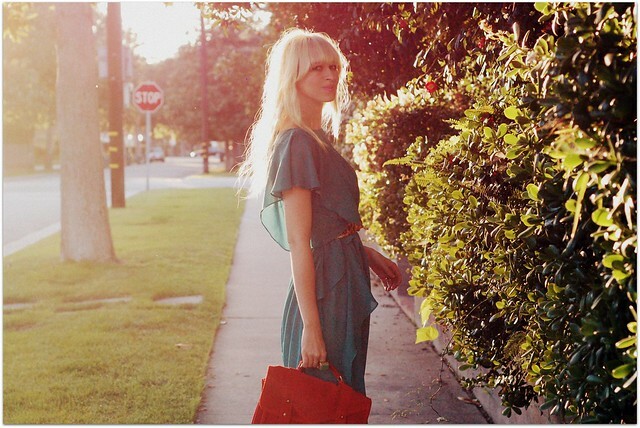 Love the contrast of the deep blue of the dress, the red bag and your wonderful pics of life. that dress is sooo beautiful!! such a gorgeous colour! Your accessories with the dress are just perfect. I love the belt. 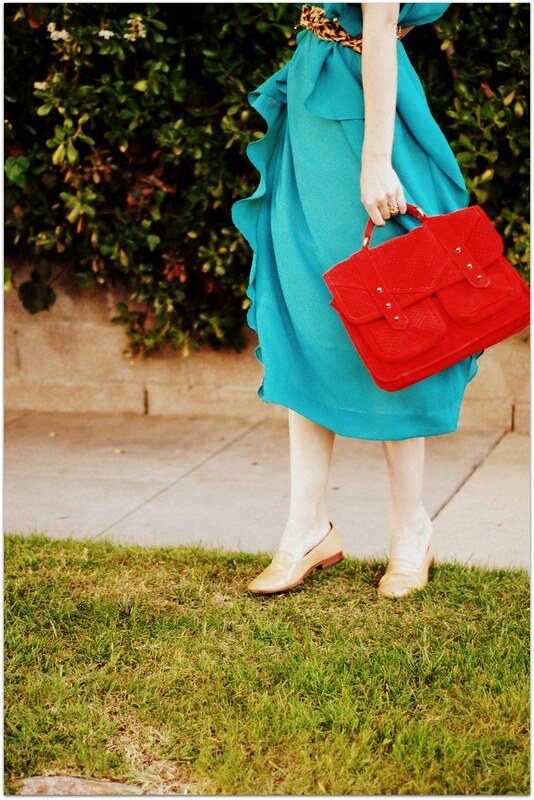 Love the turquoise dress paired with the red purse. Great photos from the past month as well. Such a great idea so just document document document. Hmmm I could definitely go for a chocolate milkshake. Perfectly combined turquoise with leopard (?) belt is absolutely perfect! Love it! Beautiful dress! That is a gorgeous color. I want one. Love whenever you post your phone photos. :) Life is lovely. I'm going to see the Oscars too, let's hope for the best ! That bag truly makes your wonderful outfit all the more amazing! the colors are beautiful. Beautiful dress! It looks gorgeous with that red bag too. Ruffles + Blue = pretty pretty princess dress! Love that you added the belt with it. Gorgeous! That blue with a pop of leopard print. Perfect! Love the little iPhoneography... i can't stop myself either! you're gorgeous, lady! i love the lighting in these. I'm so jealous of whoever ended up winning this dress on your shop. I wanted it so bad, but was too late. Oh well, better luck next time. My boyfriend just bought me your dress off of ebay!!.... and the dip dye dress as well. :) ahhh thank you thank you! Holy Cow what a beautiful dress! I lovelove all the flowy layers. like a princess mermaid! so cool! Love the bag and belt with thie dress. such a lovely dress, the color is so fresh, magnetic, love the match with leopard printed belt. oh man... you take iphone photos of food like i do! ...i mean... you're never gonna see it again RIGHT!!?? beautiful blog with most beautiful outfits! I am a follower. Can I email subscribe to your blog??? I so love the color of the dress and the way you put together the whole outfit!! I Love the blue dress outfit, everything looks so good! You always look like your having so much fun! I love how you love life...my kind of girl! My husband always tells me I have more pictures of our dog than him..so not true. However, I love taking pictures of our pup. you are gorgeous! you're in my favorites ! I love the colour of your dress! And the red baga is the perfect contrast. Lovely. so glad that i found your blog! Beautiful photos, I love the combination of that shade of blue with red! Just found your blog and I love it! Stunning! The color, the ruffles... the dress is just perfect! I love the combination between the belt and the color of your dress! 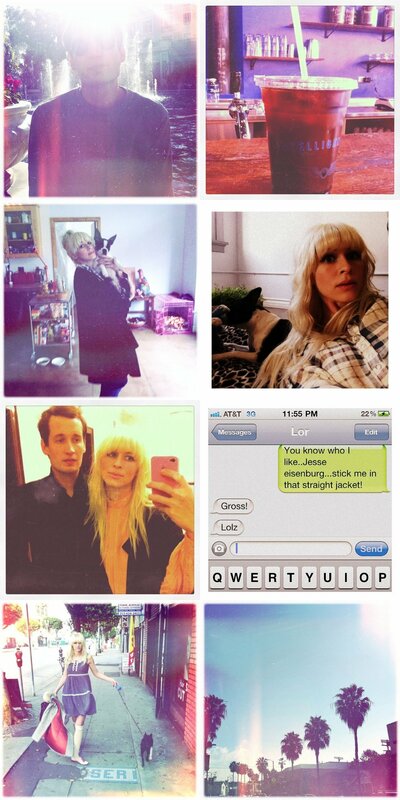 you're such a style genius :) I also love the pictures you've taken. those palm trees are seriously CA's trademark, at least I think so haha. favorite post to date! loveloveloveloveloveeeee that dress!!! anyhoot, i love what you've got going here, very cute! Oh my god I love ur blog!!! But tell please... whats the name of the app for the iphone that you used in these pics? I need to know because im in love with your pics! !